Last week on a beautiful Spring afternoon we had the private view for the “Plants and Pollinators” show at Easton Walled Gardens. This week has been snowdrop week and the Gardens have brimmed over with sunshine and visitors. 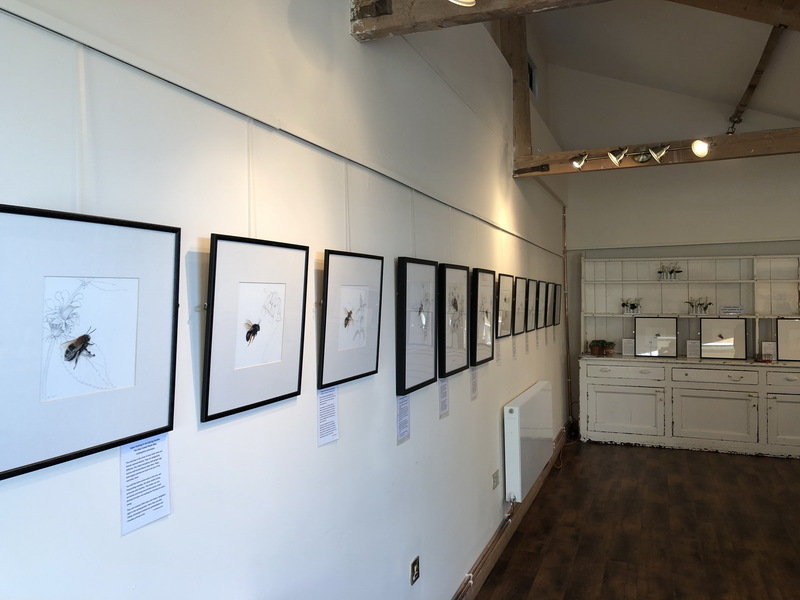 There are 19 of the bees on show with their explanatory labels, notes about bees, my technique and prints and postcards for sale. The gorgeous black form of the Large Garden Bumblebee.. one of my all time favourites especially as I had first seen it in my father’s garden. It has been a while since I have shown the bees and it was so SO lovely to see them back on the walls of the Coach House which was our Easton painting workshop home. It was also particularly lovely to see some of the old painting group! Thank you all for coming along. 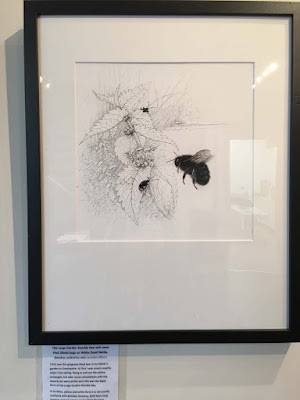 The show will continue into March and I shall be there on some of those days, talking about my lovely bees, what to grow to encourage them and how I go about painting and drawing them. 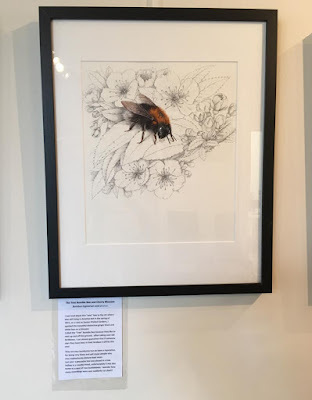 The new bee, the Tree Bumblebee was finished and framed in time and I now feel I want to continue filling in the gaps of my set of British bee paintings. 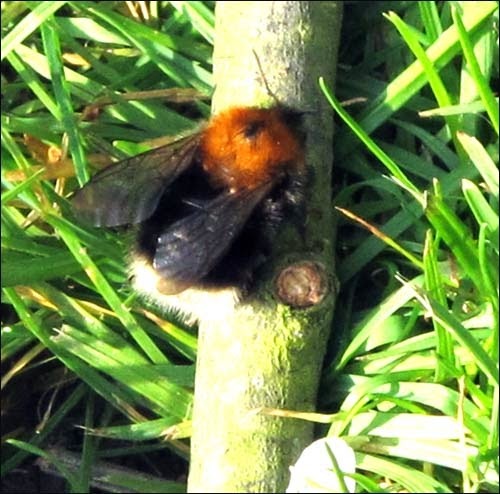 I had seen a couple of bees in my garden last year that I have not yet painted..only about 230 species to go Val! I am sharing the space with botanical artist Dawn Wright whose beautiful painting of lilac was featured on the private view invite. Big thanks to Ursula Cholmeley and her team of gardeners and organisers who have made it all possible! The show continues until 17th March and I will be there on Thursday 7th. Thursday 14th and Sunday 21st. Do come along to say hello if you are in the area. https://buzzbooknprints.blogspot.com/ you can see more about each bee by clicking on the image. Snowdrops at Easton taken yesterday morning… beautiful!